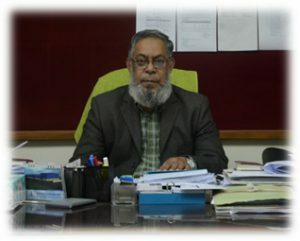 Department of Civil Engineering is one of the leading departments in BUET with excellent educational and research programs and facilities that are well equipped and well maintained. We have a truly outstanding faculty, with highly established leaders and rising ‘stars’, who are also dedicated teachers and mentors. A good percentage of our teachers are involved in many development projects of national and international importance as expert consultants, ensuring our students gain a broader ’real-world’ education. Our programs provided a thorough grounding in the fundamentals and advanced study in all the four majors, leading to degrees at the Bachelor’s, Master’s and Doctoral levels. We work hard at being the best and our surveys of our alumni and their employers confirm their very high satisfaction. The department’s undergraduate students are very active, constantly reaching out to national and international competitions, winning top positions almost every time. The students also help us host our own annual interuniversity competition, where many students have the opportunity to submit their research paper in the conference that comes with it. We continue to enhance our programs. I end my note, thanking you for visiting our website; please visit the other sections to have a wider grasp of our department.